Home Jack Webster Grains of Truth: "Grain of Truth", "Another Grain of Truth"
Grains of Truth: "Grain of Truth", "Another Grain of Truth"
This title brings together Jack Webster's two volumes of autobiography. The first part brings to life his homeland of Buchan in the north-east of Scotland. He describes in detail his childhood years in Aberdeenshire with stories of honest hard-working folk, people with often dour exteriors and a sharp, wry sense of humour twinkling beneath. From his childhood, the story moves on to the early years of his career on the "Turiff Advertiser" and his time at the "Scottish Daily Express", with tales of his travels and meeting with the famous all over the world. The second part continues his story, opening with the "roup" in Maud, the auctioning of his family farm, and going on to tell stories and anecdotes of the famous and not-so-famous inhabitants of his native Buchan - people like his great grandfather, Gavin Greig, a scholar of international repute, and the celebrated writer, Lesi Grassic Gibbon, who tragically died at the age of 33. 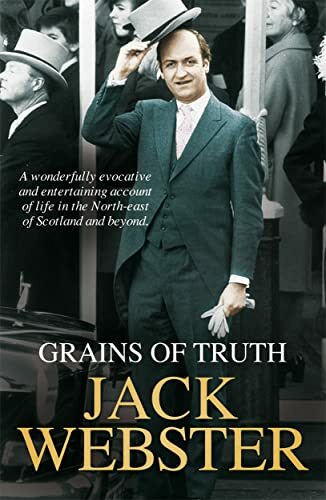 Whether writing of his meetings with the rich and famous, of great events, bloody murder or simply his memories of his childhood, Jack Webster displays the qualities of writing that has made him one of Scotland's best-loved journalists.He is the author of "Famous Ships of the Clyde".